Thank you for contacting our office for your endodontic needs. The information contained in tabs 1 through 7 will help prepare you for your upcoming visit with Advanced Endodontics of Ventura. Tab number 8 allows you to complete your registration on our secure encrypted website from the comfort of your own home. You will need a username and password to complete your registration, and we will provide it to you during your first contact with our office. Please call our office at (805) 639-8801 to schedule your appointment and answer any questions you may have. We look forward to seeing you soon. When you call to schedule your appointment, we will email a welcome letter to you that will provide a password to complete your online registration. Registration on our secure website allows you to complete your medical history, pain history, and review our office policies and consent forms. This will save you a tremendous amount of time prior to your appointment. Of course, patients who are not comfortable using the web registration can register in our office. For patients that prefer to do in-office registration, please arrive 20 minutes prior to your scheduled appointment. Our staff is happy to assist you during the registration process. Prior to coming in, please remember to continue all medications that your physician has prescribed for the treatment other conditions, such as blood pressure, diabetes, thyroid problems, and those requiring blood thinners. If you have been advised by your physician or dentist to use antibiotic premedication prior to dental work, please make sure you are on the appropriate antibiotic on the day of your appointment. If there is a question, please call our office prior to your appointment. The referral form and any x-rays given to you by your dentist. Your insurance information, if you have insurance coverage. A list of medications you are currently taking. A drivers license or photo ID. A parent or guardian must accompany all patients under the age of 18. For patients who are anxious about dental treatment, we offer an oral sedative and/or nitrous oxide gas. If you think you may need this kind of care, please let us know so that we can schedule a consultation prior to your treatment appointment. Upon arriving in our office you will digitally sign the forms you reviewed online. Dr. Barker and our team will then take necessary radiographs, discuss your symptoms, and perform a thorough exam to make a proper diagnosis. Dr. Barker will discuss the findings, show you radiographs and photographs, and make treatment recommendations. We will take the necessary time to inform you about your condition, the treatment options, and the prognosis. Sometimes no endodontic treatment is necessary, but if it is, then we will explain the cost as well. If time has been set aside for treatment, then we will begin by gently numbing the area with local anesthetic. After the area has had time to become thoroughly numb we will perform the procedure. Many endodontic procedures can be completed in one appointment, however, it is necessary to treat some cases in multiple visits depending on the complexity of your condition. Our goal is to deliver quality care to achieve predictable long term results for all patients. 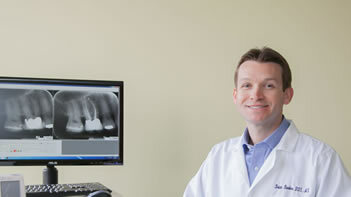 After treatment, Dr. Barker will review your case with you, and post-operative instructions will be given. Most patients experience minimal to no post-op discomfort, but the tooth could be a little tender or sore to pressure and biting for a couple days. A very small percentage of root canal treated teeth may remain tender for a few weeks after treatment. You will be given written and verbal instructions on how to minimize any discomfort by taking ibuprofen, Tylenol, or another prescribed pain medication. If antibiotics are indicated we will let you know. If you have swelling, pain, or a reaction to any medications, please call us immediately. Please wait for the anesthetic to wear off before eating so that you do not bite your cheek or tongue. After completing treatment at our office, please be sure to schedule an appointment with your general dentist within four weeks in order to permanently restore the tooth. Until then, please avoid chewing on the root canal treated tooth. Please do not delay in seeing your general dentist for follow-up care; doing so may cause failure of the root canal treatment necessitating root canal re-treatment or removal of the tooth. We will ask you to return in 6-12 months for a quick visit in which we take a radiograph to evaluate the healing that has taken place. This visit only takes a couple minutes and there is no charge. For your convenience, we accept cash, checks, debit cards, and all major credit cards including Visa, MasterCard, American Express, and Discover. It is our policy that your care is paid for at the time of treatment. When more extensive dental care is necessary, financial arrangements may be made with our office. 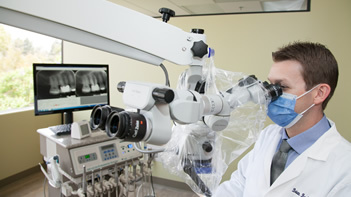 Advanced Endodontics of Ventura is in-network with many major dental insurance plans. Our well-trained staff will make every effort to provide you with an accurate estimate of your insurance coverage and copay, and we are committed to working with you and your insurance company to maximize your insurance benefits.  We also routinely work with patients that have out-of-network insurance coverage, and we are more than happy to assist you in utilizing your coverage at our office. Insurance copays are due when services are performed. Please call our office to find out if we are in-network providers with your insurance plan. Our practice is also a participating member of the CareCredit program. CareCredit is a healthcare credit card that can be used to assist in paying for dental care interest free for 6 months. Please call us for more information, or visit and apply for the CareCredit program online at carecredit.com. Handicap and wheelchair access is located under the building. Please complete your online registration before your first appointment. Registration will take approximately 10 to 15 minutes. Please note that you will be directed to an external site that is encrypted for your security.